Don and Bridget Cardigan's upper middle class lifestyle is threatened since Don, who has been out of work for a year, seems to have given up looking for a job, and housewife Bridget has been out of the workforce for most of her life. They are close to $300,000 in debt. Finding out this information, Bridget comes to the conclusion that she needs to get a job - any job - that at least provides them with some benefits. She reluctantly takes a job as a janitor at the Federal Reserve Bank of Kansas City. Almost immediately, Bridget is enthralled with all the old worn out money that is being shredded. She comes up with a plan to get her old lifestyle back by stealing much of that money, which she believes is an easy job since the locks used on the money carts are standard equipment and as she notices that no one ever checks the garbage as she goes about her work. Her plan needs the cooperation of one person who works the shredder and one person who pushes the carts of money. The two people she co-opts are single mom Nina Brewster and diabetic, trailer living and constant music listening Jackie Truman. Jackie is easy to convince, but Nina is only convinced when Bridget brings it to her attention that the money would allow her to provide a better education to her two bright sons. Nina vows to kill Bridget if she ever loses her children because of this scheme. 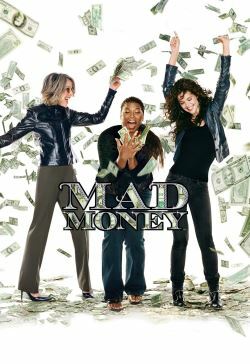 As the three woman progress with the plan, it is threatened by: the bank's head of security, a man named Glover, who believes it is impossible to steal money from the reserve; another security guard at the reserve named Barry who seems to be attracted to Nina; Jackie's working class husband Bob who is not used to having money; Don, a conservative man who can't understand being on the wrong side of the law; and Bridget herself who seems to be increasingly focused on getting more and more money with no end in sight, which seems to be diverging from the priorities of her two accomplices.